Two planets larger than Earth could be lurking in the outer region of the Solar System according to two new studies published in the Monthly Notices of the Royal Astronomical Society. Is crowdfunding a viable option for paying for astronomical research? The British long-thought-lost Beagle 2 lander has been found intact on the surface of Mars. Kepler discovers an Earth-sized planet that could be just the right temperature for liquid water to exist on its surface. Bad Astronomer, Phil Plait, has launched a new educational video series called Crash Course Astronomy. Astronomers in Australia recently detected a short, 5 millisecond, burst of radio waves from outer space, whose original is as yet, unclear. The most interesting part, from an scientific perspective, is that it was the first time astronomers have ever detected such a burst of radio waves in real time. Previously it’s always been after the fact, when the data from an observation run was analyzed. However, in this case, there is substantial reason to believe that it’s not a response to SETI. According to data on this event gathered from 12 telescopes around the world the [fast radio burst] originated 5.5 billion light years from Earth. That means that the event which caused the signal happened about 900 million years before our solar system began to form. Even if it were found to be a communication from an intelligent alien species, by the time we could get a signal back to the source our sun would have burned out. Such discoveries are important, even if they do turn out to be the result of natural causes. They will help to eliminate false positives, and more important, they tell us more about the Universe we live in. A year after reporting that NASA’s Curiosity rover had found no evidence of methane gas on Mars, all but dashing hopes that organisms might be living there now, scientists reversed themselves on Tuesday. Curiosity has now recorded a burst of methane that lasted at least two months. It could have been created by a geological process known as serpentinization, which requires both heat and liquid water. Or it could be a product of life in the form of microbes known as methanogens, which release methane as a waste product. Even if the explanation for the methane turns out to be geological, the hydrothermal systems would still be prime locations to search for signs of life. It’s always possible there is another explanation for the presence of methane on Mars, and scientists will no doubt be working diligently to eliminate those other possibilities in the months ahead, but if the finding holds up, we could be on the cusp of a truly significant breakthrough in the hunt for alien life. The good news is that we’re already on step three, the bad news is that steps four and five are the most difficult and will likely not be possible until the next generation of telescopes is online. If, when analyzing a planet’s atmosphere, we find traces of pollutants that have no natural explanation, it could be indicative of some form of intelligence living there. Alternatively, if the planet is close enough, our largest radio telescopes can be trained upon it on the off-chance we might overhear something interesting. It’s a long shot, but since we’re not going anywhere soon, our only realistic hope of finding intelligent alien life in the near future is to continue searching from afar. Wanderers is a stunning short film by Erik Wernquist which blends the hauntingly poetic prose of the late Carl Sagan with scenes from a distant future where the human race calls the entire Solar System its home. I’m not 100% sure about the idea of people floating around in space suits that close to Jupiter, since the hard radiation from that planet’s radiation belts can deliver a lethal dose in seconds, but I guess I can be charitable and accept that we will have solved the problem of shielding people from high-energy sub-atomic particles by the time we’re watching the Great Red Spot disappearing over the horizon. WHETHER it’s Stephen Hawking predicting the certainty of alien life or the SETI (Search for Extraterrestrial Intelligence) Institute in California claiming that we will “find E.T. within two dozen years,” debate over the existence of aliens is as rife as ever. For those grappling with the Fermi paradox, this year provided a number of seemingly inexplicable cases that were seized upon by believers as prove that ET is out there. We’ll let you decide. The article goes on to talk about such astounding revelations as the discovery of bones on Mars, a deathbed confession confirming the presence of aliens in Area 51, images of UFOs hiding behind the Sun, and so on. Well, as the article is quick to point out, they’re not so much astounding, rather entirely typical of the hokum churned out by the UFO conspiracy theory industry. 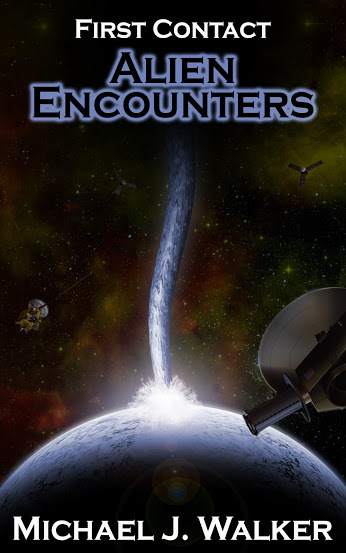 Still, it’s an entertaining read and an interesting summary of the what the UFOlogists have been up to over the last 12 months. Expect more of the same in 2015. 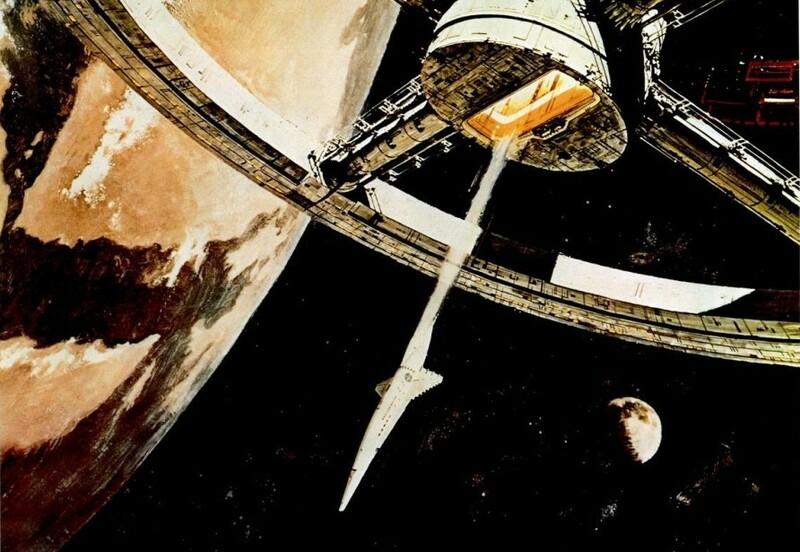 It’s hard to believe it’s been almost 50 years since Stanley Kubrick’s ground-breaking science fiction movie, 2001: A Space Odyssey, hit the big screen, and while the future didn’t quite pan out the way the movie predicted, it is still seen as a benchmark for space-related movies in terms of scientific accuracy. The creator of the Jodrell Bank Observatory, Bernard Lovell, influenced the director Stanley Kubrick’s conception of the film. Kubrick wanted the movie grounded in fact and originally planned for it to have a prologue in which Lovell and 20 other scientists would discuss their thoughts about aliens, evolution and space travel. But 2001: A Space Odyssey turned out to be an unusually long film, even without the prologue, and so the 1966 footage was never used and is now lost. Fortunately, even though the footage has been lost, the transcript is still available in published form, though it is currently out of print. [Blogger] Doug Messier wrote on Twitter that he witnessed the crash from Jawbone Station, which is on a ridge overlooking the desert where the craft crashed. “We saw the twin contrails of WhiteKnightTwo overhead. They do that prior to a drop,” he tweeted. 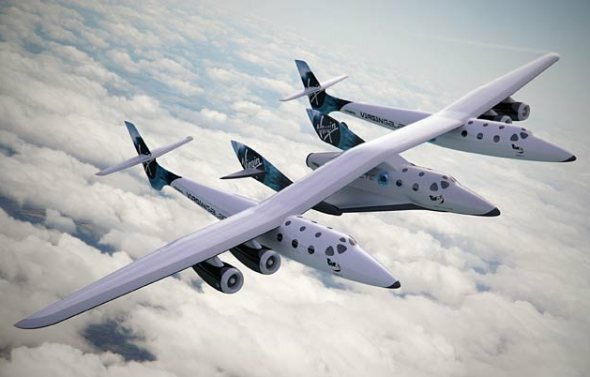 “SpaceShipTwo dropped. From what I could tell, motor fired and then stopped then fired again. I think that’s what happened. Messier reported that clouds made it hard to see clearly, but it appeared that SpaceShipTwo “broke apart and started coming down in pieces over the desert.” He added: “We started seeing clouds of dirt where pieces of the ship came down. One after another. At least three.” Messier reported then driving to one of the debris sites. “Debris from the ship was scattered all over the road,” he said. This is a stark reminder of just how dangerous space flight can be, even sub-orbital space flight. We take so much for granted these days, even when it comes to going into space. In reality, all who fly high enough to see the blackness of space above them should still be regarded as Space Age pioneers. Condolences to the family and friends of the pilot who died.